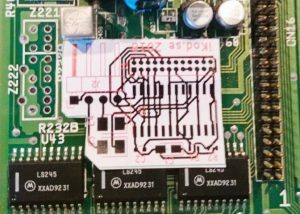 For those who repair and/or change electrolytic capacitors on Amigas has probably sometime bumped into bad Z221 and Z222 which is the band pass filter and delay line. 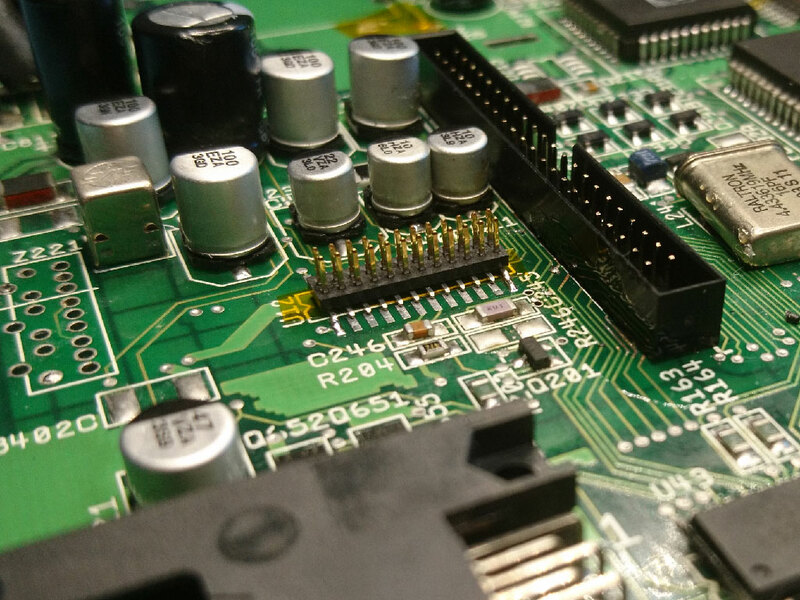 These components are cruical for the RF and Composite video output. When they are bad you can experience the following error. Sadly these components are more or less impossible to find unless you take them from a donator board or old VHS tape player, until now 🙂 I have been planning on doing a small replacement circuit based on the CXA1645 IC which is similar to the CXA1145 that is originally installed in the A1200/A600. A few weeks ago I accidentally found Daniel Tufvesson’s excellent homepage http://www.waveguide.se where he had tested the IC in an Amiga 600 with successful result. I then decided to put my idea into real and also move from Sprin Layout to KiCAD 🙂 The idea was also to add a S-Video port connector on the board and it had to fit between in both the Amiga 600 and 1200 without removing any components, accept the CXA1145 of course. The first successful version was the following and that was also sent to a PCB manufacturer to make sample PCB’s. After two weeks of wait it arrived so I could finally test it. I will do some small adjustments before I release the project as Open Source. Some of the 0603 pads where a bit small and better suitable for oven soldering. The circuit can either be direct attached to a 1.27 pitch header that is soldered on where the old CXA1145 was, or if a female header is used it can be removed if needed. The old CXA1145 was removed with a hot air gun set to around 298 degrees celsius and then the pad were cleaned with cotton tips dipped in IPA. I used some Kapton tejp to isolate the area between the pads so no short would occur. The header is a 1.27 pitch angled header. First test with the replacement circuit was successful and if fit like a glove. 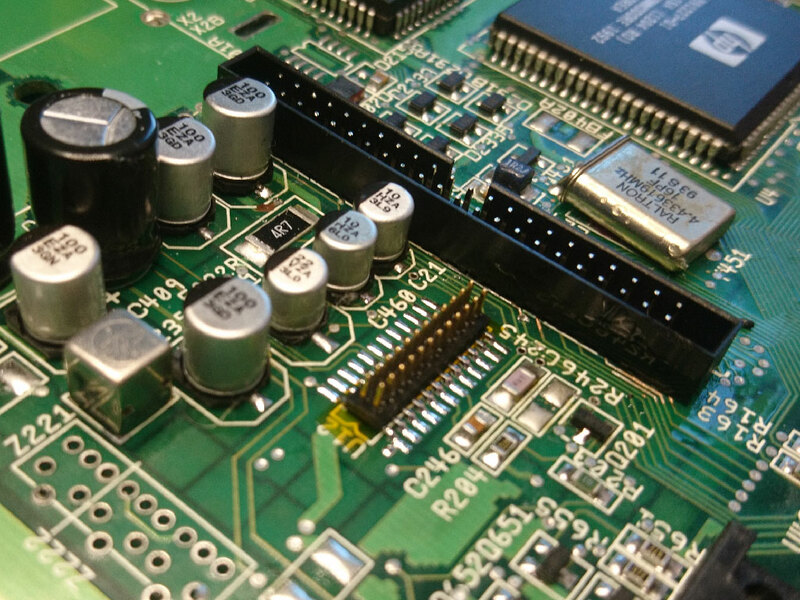 The S-Video header is located slightly over the radial capacitors. 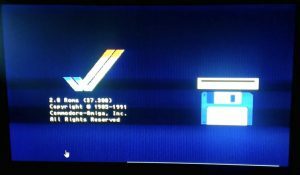 The test were successful and on this test PCB from a Amiga 1200 with dead, even removed Z222, the C-Video started to work without any issues. Now off for some test with S-Video. Successful there as well. I need to adjust the signal some on the final version of the PCB and add a resistor pad, else it is perfect. 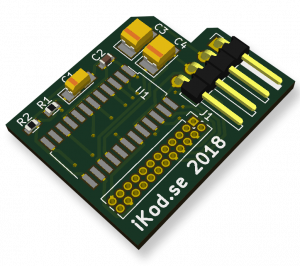 Back to KiCAD for some modifications! Great job can’t wait for the Open Source gerber files so we can print this! Probably will be ordering new version next week or so. When it is validated I will release it. 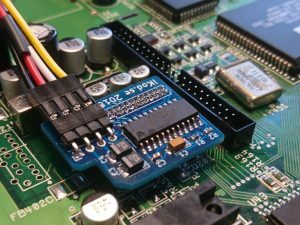 Great work, it will be great to have a neat fix for dead Z221/Z222’s – can’t wait! 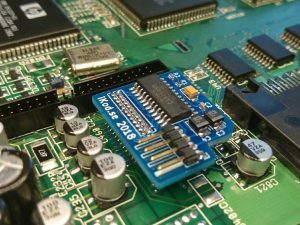 Where I can find the opensource files of this project? Have a nice Year 2019!! 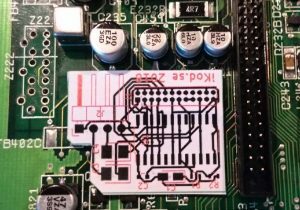 I have a new solution with a more or less 1:1 pinout where the Z221/Z222 is integrated into the IC. Waiting for the parts and will publish a guide after that. Hi, been busy as usual 🙂 But I finally recevied the CXA2075M chipset so I could do a test yesterday and guess what! It works! 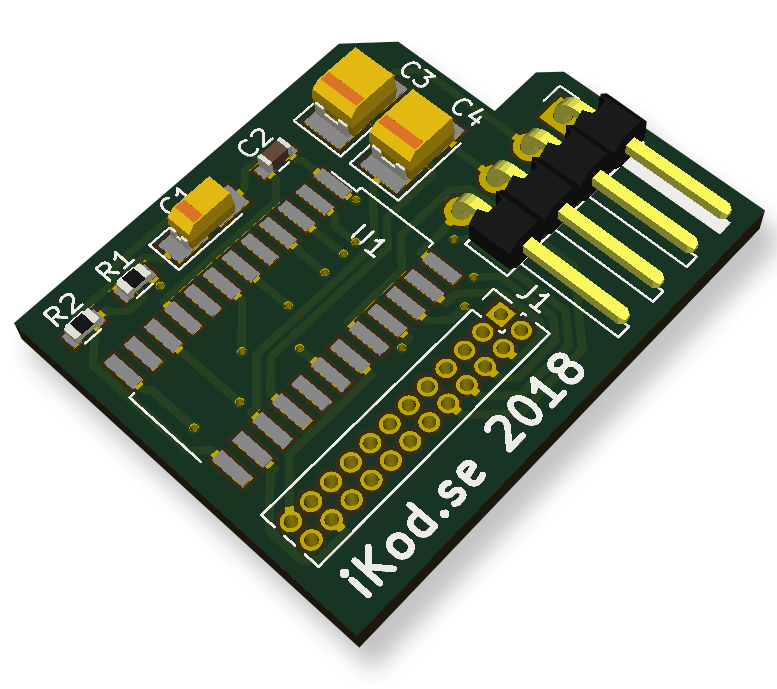 Please have a look here: https://www.ikod.se/cxa2075m/ .